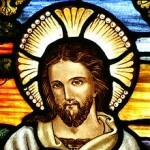 New Christianity retains the centrality of Jesus to the message, but has a number of different ways of viewing who he was, the most important being the distinction between the man Jesus of Nazareth, and what is variously described as the Christ Principle, Christ Consciousness, the Christ energy, unitive consciousness – i.e. that aspect of the divine which is experienced in the human form when a person becomes ‘Christed’ or anointed or attains non-dual consciousness. Salvation is looked at differently, not as being ‘saved’ for some future paradise, but being brought into wholeness and healing, which is the root meaning of the word in both Hebrew and Aramaic. Sin is not the little things that we do wrong, it is the state of being asleep to the potential for living God’s way, either through ignorance or deliberate avoidance. Being in the sinful state means that we are failing to live up to the potential we have for living a compassionate life of divine awareness, and salvation is the fulfillment of that potential. Repentance is redefined back to its roots, meaning to go ‘beyond the mind’, to be about moving beyond egoic, dualistic thinking, moving into the wonder of oneness and unity. It is turning from self-centredness to awareness that all is connected and held in the compassionate consciousness we call God. The kingdom of God is not ‘pie in the sky when you die’, not later, but lighter. It is the way of being that Jesus modelled, to operate from the place of compassionate consciousness, of oneness with the divine. New Christianity also takes into consideration the vast amount of liberal scholarship concerning interpretation of the Bible, and seriously considers extra-canonical scriptures such as the Gospel of Thomas. These and many other aspects of New Christianity will be explored on this website. Many of these are expanded in Don’s book, Blue Sky God: The Evolution of Science and Christianity. This page will gradually develop to give a fuller explanation, with articles, writings and links to others on the same path.